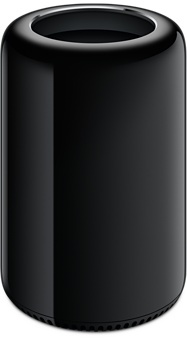 The forthcoming Apple Mac Pro is now available for pre-order, with specifications and pricing also released. The Mac Pro features the latest Intel Ivy Bridge E Xeon processors with up to 12 cores, dual AMD FirePro GPUs, six Thunderbolt 2 ports, and PCIe-based flash storage with ECC memory, USB 3.0, and faster 802.11ac Wi-Fi. Availability in Australia for the Mac Pro is expected in December.